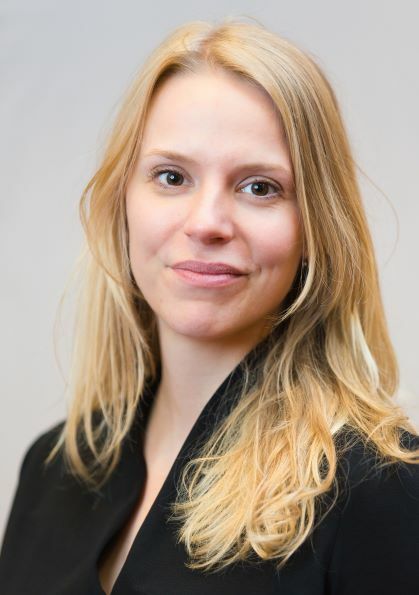 We recently talked to Marie Hennecke about her paper, "Doing despite disliking: Self‐regulatory strategies in everyday aversive activities", which will appear in an upcoming issue of EJP. Marie is a professor at the University of Siegen, Germany. Read more about Marie and her research below! Q: Hi there, Marie! Can you tell us something about yourself and how you became interested in personality psychology? I'm a professor at the University of Siegen, Germany. I actually just got here about a month ago and this is my first permanent position, so I'm very excited about that! Right now it's also a bit stressful because I'm trying to set up everything. My work focuses on self-regulation and that's also what really got me interested in personality psychology. But, I also never really know where my home is in terms of subdisciplines of psychology; I stopped worrying about that, because I really think that to understand self-regulation it is important to look at it from multiple perspectives. One way of course is to look at individual differences in self-regulation. I try to understand the processes that enable people to be good at self-regulation, to successfully achieve their goals, to do well in self-control conflicts, and so on. Another pathway is through my friends! Many of them are personality psychologists who are interested in personality development, which was also the topic of my PhD. Through our conversations, it became clear that self-regulation may also be very important for personality development. We know that as people age, their personalities become more "desirable"; people become more agreeable, more emotionally stable, more conscientious, etc., and it could be the case that self-regulation is one cause of that. Q: What aspects of your job do you like in particular? I enjoy a healthy mixture of activities, including designing studies, analyzing data, writing, but also teaching, and administration. For example, I enjoy talking to other people about research, but if I had to do it 8 hours a day, I think it would be very draining. I also like being by myself, looking at data, or writing a paper. And then after a couple of hours, that might get lonely, and then it's time to talk about fun findings again to other people or to teach students and hopefully show them that psychology is really exciting. So, I think it's really the mix of so many different things that makes this job so interesting. Also, I think it is a rather cool time for studying self-regulation, because – as you may know – for a very long time the idea of "ego-depletion" was so dominant in this field but it is not anymore. If you look at all the past publications on self-regulation, it seems like with the ego depletion paradigm being so dominant, there was only little room for thinking about self-regulation or self-control in a different way. Back then, the idea was clearly that self-controlled behavior is caused by this very effortful process of inhibition and that it's also costly in the sense that it drains resources you may have. Now this approach has become less popular as it has been difficult to replicate these findings. And with that, I see that more and more researchers are developing a fuller picture of what self-regulation and self-control entail. This also includes a lot of processes that have very little to do with the effortful inhibition of impulses. For example, in one of our projects, we have found that people who are high on trait self-control also report more autonomous motivation with regard to their goals. So, it seems that in what they do, they find more joy and intrinsic motivation. Hence, effortful inhibition may not be what makes them successful. The same actually goes for the current study in EJP; we were interested in specific strategies for self-control, and some of them really also have little to do with effortful inhibition. In this study, we wanted to learn more about individual differences in self-regulation and how these differences come about. What do people do when they have to engage in an activity that they do not enjoy, that they think is rather unpleasant because it's boring or physically effortful, or mentally effortful, et cetera? What do they do to help themselves persist in that activity? We first did some pilot studies in which we gathered a list of 19 different self-regulatory strategies that people reported using in the real world. Then, seven times a day, over a week, we asked participants to report to us when they had experienced a self-control conflict where they had to do something that they didn't enjoy doing, and also to tell us whether they had used any of the strategies. If so, we also asked them to report to us how satisfied they were with their own persistence at that unpleasant activity. What we found is that there were two different routes to successful self-regulation. First, people who were high in trait self-control were more satisfied with their persistence during everyday aversive activities. But this was not explained by strategy use (even though people who were high in trait self-control reported using various effective strategies). Second, the use of various strategies predicted higher perceived self-regulatory success. One of these effective strategies and the one that was used most frequently, was focusing on the positive consequences of the aversive activity (e.g., "I am going to become more attractive if I continue running on this treadmill"). From a motivational perspective, you could say that if intrinsic motivation is really low, in the sense that the task experience is not fun, people focus on the extrinsic motivation that they had for engaging in the task. Very similar to this, and also an effective strategy in our study, is focusing on the negative consequences of not engaging in the task (e.g., “I am going to become fat and unattractive if I don’t continue”). So, in a way it's the same thing just not in terms of approach motivation but rather in avoidance motivation. Other strategies that increased satisfaction with one's persistence were thinking of the near finish (i.e., thinking that you're done soon, you just have to push through while you're engaged in the activity), and emotion regulation (i.e., trying to stay in a good mood while engaged in an unpleasant activity). Most other strategies didn't have any effect – they were neither helpful nor harmful. There was one harmful strategy, namely distracting yourself (i.e., trying to think of something else while you're engaging in the activity). We don't really know why this was such a harmful, non-effective strategy. It could be the case that thinking of something else makes you want to do something else, so you're getting away from what you're trying to do. And, of course, for many activities that require mental effort, like studying for an exam that is really difficult, thinking of something else at the same time makes you less successful even if you are persistent. So, in that sense this strategy seems to be non-effective or even harmful. I should add that we don't have a very good data base at the moment for looking in more detail at possible interactions between activity types and strategies. Nevertheless, one interesting implication of our findings is that people have such a broad spectrum of possible routes to self-regulation. Not all of them may be successful, but at any occasion that we've asked them, people named on average about 2.3 strategies that they'd just used in this one self-control conflict. Another, rather sad implication of this study is that we had a lot of measurement occasions (18.7%) at which people reported being engaged in unpleasant activities, which shows that in daily life people have a lot of instances where they have to control themselves and be persistent even if they would rather do something else. In addition, I think on the long run – but this is really far down the road! – if we learn more about which strategies work in daily life and for different types of activities and also for different kinds of people (e.g., high vs. low self-control), we can be better at designing interventions that help people pursue their goals in daily life. As I said, I’m currently setting up a new lab, which will probably take a lot of time. Then, I hope to have productive and satisfied graduate students and post docs here in the lab – and we'll see what we can achieve together. More specifically, we have a follow up project based on the recently accepted paper, where we look at different types of self-control conflicts like resisting temptation and starting something that you don't like doing. Here, the strategies and their implications are probably somewhat different. Q: Where do you see the field going in the upcoming years? I think it's very difficult for me to speak about the entire field because I'm really only just in one specific part of it. I think learning more about processes of personality and personality development is going to be one very exciting new direction. Additionally, learning about the constraints under which people can develop their own personalities: Under what condition does it work to become more like the person you want to be? To what extent does this happen naturally or intentionally? And then also, we are now becoming more interested in policy implications of personality and personality development. Supporting people to change their personalities in a good way (and in a way that they desire and are happy with, of course), for example, become more conscientious and emotionally stable, could be a very sustainable way of solving many societal problems. I'm currently also a member of the "Personality Change Consortium" which is led by Wiebke Bleidorn and Chris Hopwood, and we are thinking a lot about such policy implications of personality change. I think it's very difficult to give good advice, because not everything may work for everyone and there’s survivor bias. If I look at myself and the factors that contributed to me being able to publish papers and to getting a permanent job, all these things really, to a large degree, had to do with finding a subject that I cared about and talking to a lot of people about it. I guess one piece of advice is therefore to always try to get multiple perspectives on your research, both from more senior researchers and from your peers. To be able to do that, networking is really important. I realize that Jana Nikitin said the same thing recently – but in a way, we were part of the same network, so maybe that's why we have such good experiences with networking! As a student and postdoc, I was also a member of various, a bit more formal networks, like the LIFE graduate program and a young scientist network funded by the German science foundation. Of course, there may be barriers to getting into these, so if that doesn’t work, try to build your own informal network of peers and people who can serve as mentors. Aside from the practical use of networks, feeling connected is probably the main reason why I remained in academia; I didn't feel alone at conferences, I always felt that there were people who cared about my work, and I had so many enjoyable encounters with people who took the time to talk to me. And of course, some people may be more introverted or shy, but I still think that they can be effective in building networks. It's not (at least not mainly) about partying and going out; you can seek out more quiet contexts or email people if that's easier for you than approaching them at conferences. Q: Thank you for the interesting chat Marie!